Many defendants are surprised when they are charged with burglary. This is because the conduct which constitutes “burglary” is different than what people normally think of when they hear the term. If you are charged with this offense then you run the risk of having a felony on your permanent record, the possibility of incarceration, as well as other penalties. It is crucial that you hire a lawyer to protect your interests. I am a former prosecutor, and a burglary defense attorney, who protects the rights of Illinois defendants. If you need to speak with a lawyer then contact my office today for a consultation. 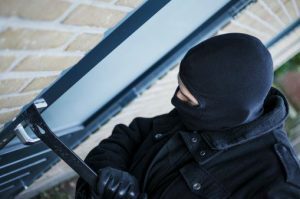 Burglary occurs anytime one enters a structure with the intent of committing a crime while inside. It does not matter if the crime is actually committed or even attempted. Simply entering a building with intent is enough for the state of Illinois to bring charges. Burglary typically constitutes a Class 2 felony and carries a sentence of three to seven years. If the crime was committed in a home, a church, a daycare, or other certain types of facilities then the defendant will be charged with a Class 1 felony. A conviction can mean prison time, fines, the loss of one’s firearm privileges, and more. State prosecutors will begin a burglary case by either holding a preliminary hearing or by gaining an Indictment from the Grand Jury. The defendant will then enter a plea of “guilty” or “not guilty.” If the accused is in custody then they can demand that the case go to trial within 120 days under our state’s speedy trial laws. If the defendant is free from custody then the case must go to trial within 160 days. Between arraignment and trial, defense counsel will investigate the case and file any necessary requests with the Court. The matter will conclude at a trial where a jury will decide guilt and, if necessary, the Judge will issue a sentence. It cannot be stressed enough that you should retain an attorney to help you with this process. I am a Peoria criminal defense lawyer defending those charged with burglary. I will use your initial consultation to gain an understanding of what happened and to ensure that you know what to expect from the process. I will conduct a full investigation and will hire an investigator if necessary. I will file all necessary Motions with the Court. These may include requests to exclude statements taken in violation of one’s Miranda rights, requests to suppress identification, as well as challenges to the arrest itself. As an attorney, I will prepare you for trial and make the best possible presentation to the jury. You are facing a serious situation and I will take it seriously. Contact my office today. Many people tend to be unhappy with the service they receive from attorneys. I am a former prosecutor and strive to be different in that regard. I regularly provides clients with my cell phone number and can be reached via text message. I quickly respond to messages and makes myself available to answer any questions you may have. I feel that you have enough to worry about at a time like this and being able to reach your counsel should not be another cause for concern. I stand ready to assist you.